Of the three villages of Cottonera — Senglea, Birgu, and Cospicua — Senglea is a true gem that should not be missed. From walks along the promenade to climbing the famous steps in this hilly town, it's a beautiful visit that makes visitors feel as though they're the first to discover this haven. Don't miss the gardens out on the peninsula; the Church of our Lady of Victories, which took 200 years to complete construction; the imposing walls of this formerly fortified town, which looks straight out of Game of Thrones; and the massive Church of St. Paola, whose silver domes can be seen from a distance. 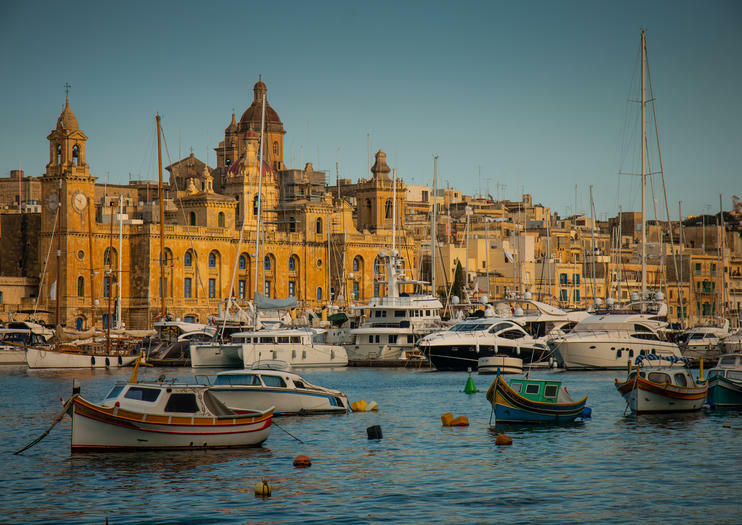 Senglea is less than 15 minutes from Malta International Airport, and is reachable from Villetta via bus and taxi. Take a relaxing tour of Malta with a self-driving electric car that tells you all about the history of the place as you drive along a 12-mile (18-kilometer) stretch of road along the sea. With your pre-programmed GPS, which is fluent in several languages, learn about the history and culture of Malta.